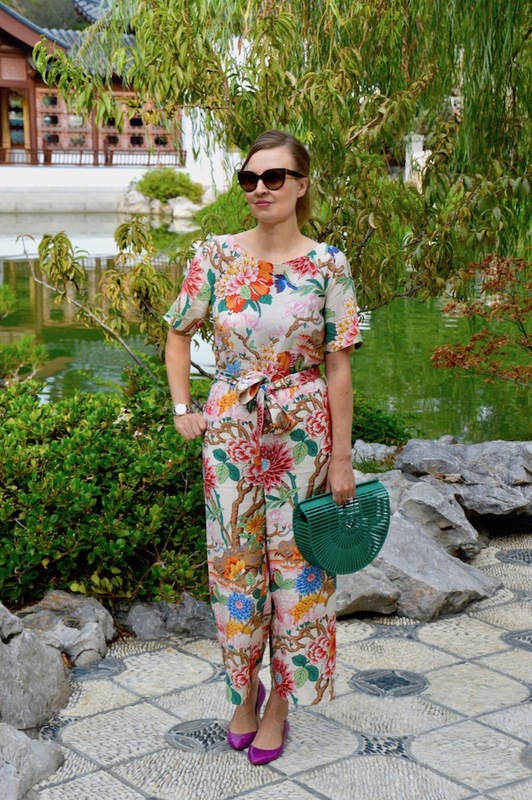 I can't tell you the lengths that I went through to get this jumpsuit from H&M's collabroation with GP & J Baker! First, I ordered it and my order was canceled due to it no longer being in stock. Next, it came back in stock in my size and then H&M's website wasn't working, seemingly for days. Finally, I was able to purchase it and received my shipping confirmation but then it didn't arrive until almost a month later! Well, good things come to those who wait! The only problem? After such a dramatic build up, where should I debut my long awaited jumpsuit? 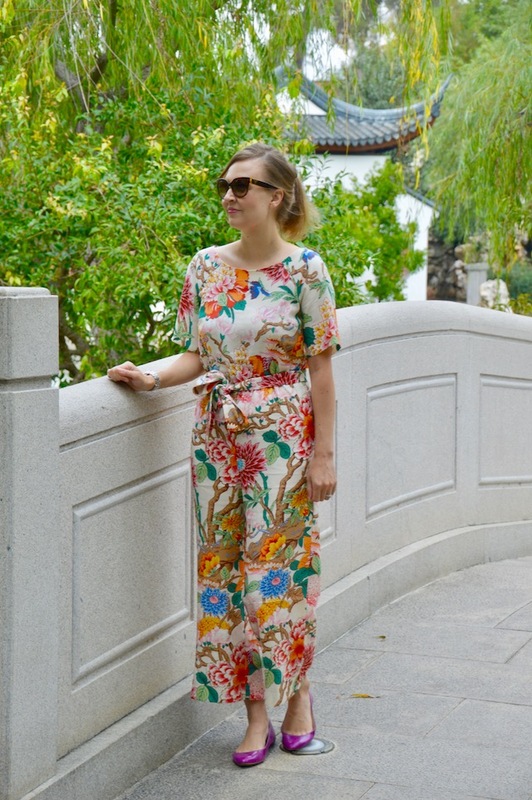 Luckily for me, the week it arrived, I was going to attend an event at the Huntington Library and Gardens and their Chinese garden made for the perfect backdrop for this outfit! 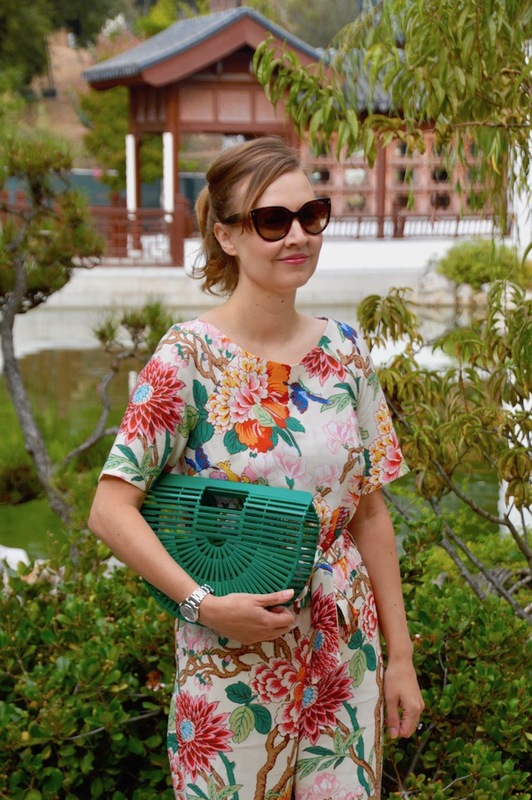 I was also pondering what bag to pair with this look and, again, luckily my new green bamboo bag from Red Dress Boutique arrived just before the event and proved to be the perfect piece to accompany the jumpsuit! I have wanted one of these bags for the longest time but I never quite got around to getting one. When I saw this one in green, however, I immediately fell in love with it because it was a bit more unique than the standard neutral bamboo bags that are everywhere on Instagram lately. 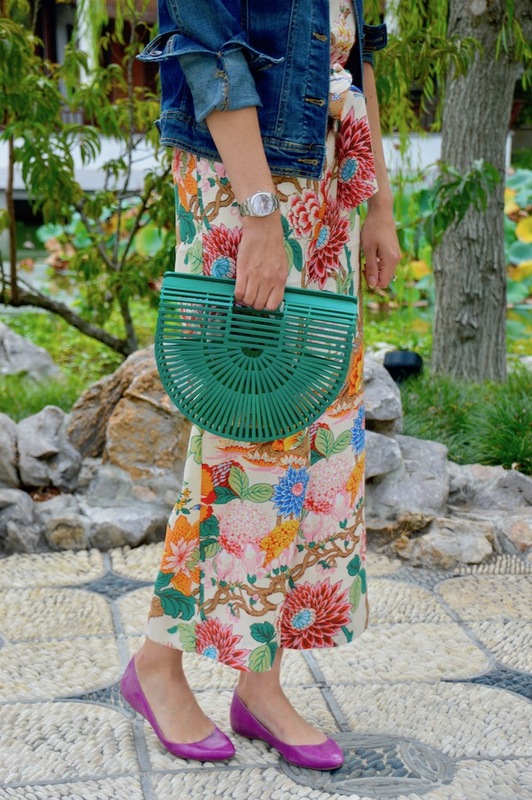 This bag definitely helped to bring out the Asian theme of my outfit and the location. 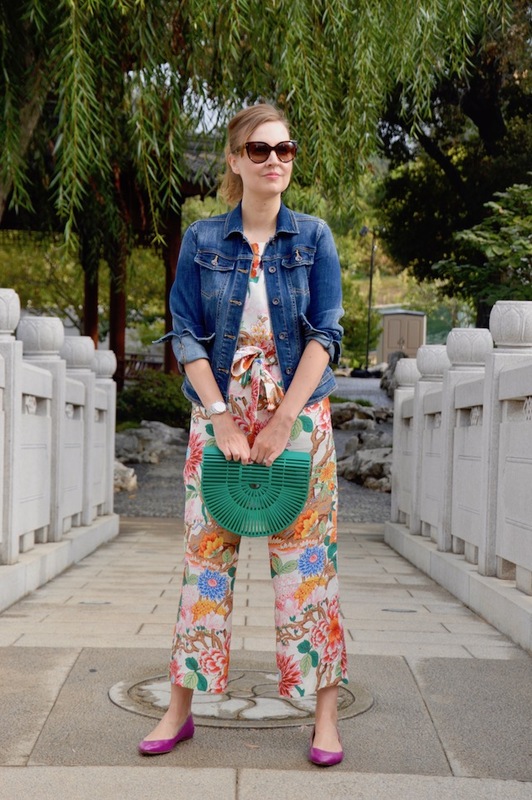 All in all, it was the perfect look to take a stroll through the gardens at the Huntington, which is one of my favorite places in Los Angeles! I am glad you finally got the jumpsuit! It's pretty and colorful. 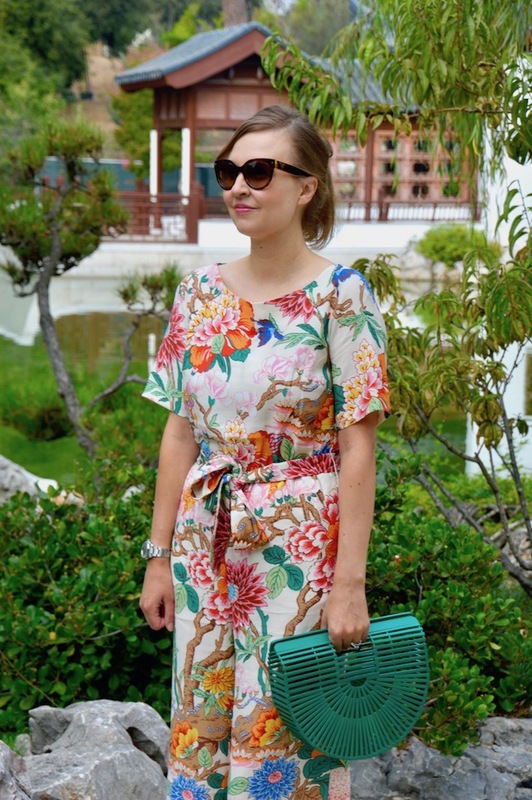 Perfect look for a day out in the gardens and your green bamboo bag is perfection. I definitely like this version better than the neutral one better. Wishing you a happy Monday! Can't get enough of this collection! Such gorgeous prints! This jumpsuit is so glamorous. It reminds me of something out of the 50s. I LOVE the print and all the colors! 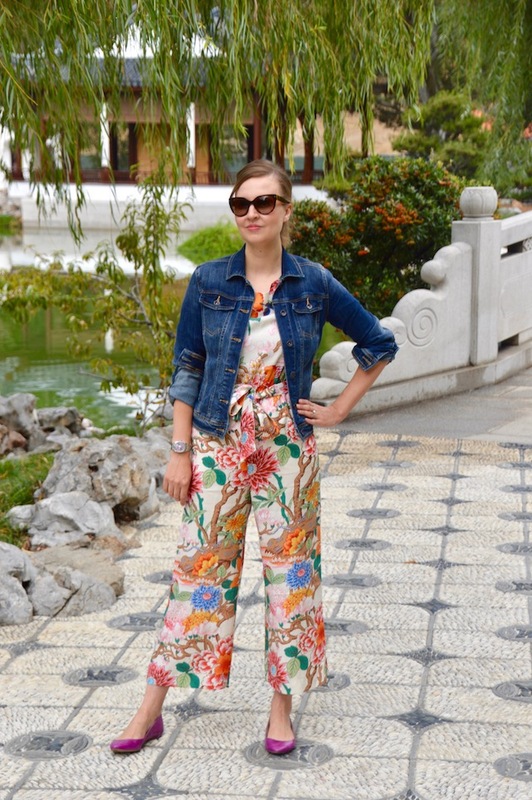 Wow, that is a beautiful jumpsuit on you! I can see why you wanted it and it was worth the wait. Beautiful surroundings, your event sounded like the perfect place to wear this. Love the green bag too, so colorful!